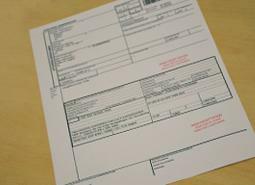 If you want to import or export trucks and trailers you need the right documents and certificates. This depends on the type of truck/trailers, the means of transport and the final destination. Due to our knowledge and experience we know which document(s) you need, so you will not face any unpleasant surprises afterwards. Futhermore we have an international network with the right contacts who can deliver all required documents and certificates on short notice. 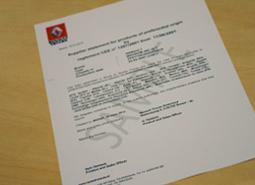 Below you can find a selection of the most common documents and certificates. Please contact one of our salespeople for more information about the documents below or about other documents/certificates. If you want to export a vehicle to a non-EU country you don't have to pay VAT on the invoice. 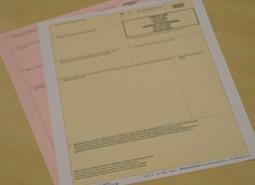 You do need an EX-A export document, which needs be stamped at customs before the vehicle leaves the European Union. 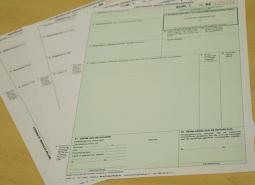 We offer the EX-A document as standard service. The Eur-1 certificate gives the importer in the destination country the right to get discount or even exemption from import duties. It's valid in all countries that are part of the trade agreement of the EU. The certificate of origin is a commonly used document of origin and shows in which country a truck or trailer is produced. In some countries the certificate of origin is desired to speed up or simplify the import of your truck or trailer. If a vehicle is originally coming from a non-EU country and you want to register the vehicle in one of the EU member states, the country of import can ask for several (technical) vehicle details. In this situations the international homologation/type approval document is a good solution.